Today’s focal verse: Proverbs 5:18 Be happy with the wife you married when you were young. She gives you joy, as your fountain gives you water. In today’s devotion, author and social-media-guru, Edie Melson, encourages us to cherish our spouse for who they are and not who we wish they’d be. Be happy with the wife you married when you were young. Early on in our marriage, I decided it was my job to help my husband improve himself. I thought I was just acting like any good wife, but you men have another word for it—nagging. I never thought what I was doing qualified as nagging; after all, I was just trying to help! What I was actually doing was getting ahead of God. He knows, so much better than anyone else, what each of us needs to become more Christ-like. But He knows something else—the order in which those changes need to be made. And my attempts to help were actually hindering my husband’s growth. When I was looking for ways to help my husband grow, I wasn’t cherishing the ways he’d already grown as a husband and as a man. And it was driving a wedge between us as a couple. There was another problem with my focus, it kept me from concentrating on my own growth. It’s amazing how easy it is to see someone else’s faults and not your own. This attempt to help God doesn’t just apply to married couples. Nagging can enter into any relationship. Once I started waiting on God and concentrating on the things He wanted to accomplish in me, the rocky road of a new relationship began to smooth out. I could see the long way God had yet to go with me, and the long way He’d come with my husband. I once again found joy in the man I’d chosen to share my life with. Challenge: Who are you trying to help God with? I invite you to join me, and give the responsibility of change over to God and let Him work. 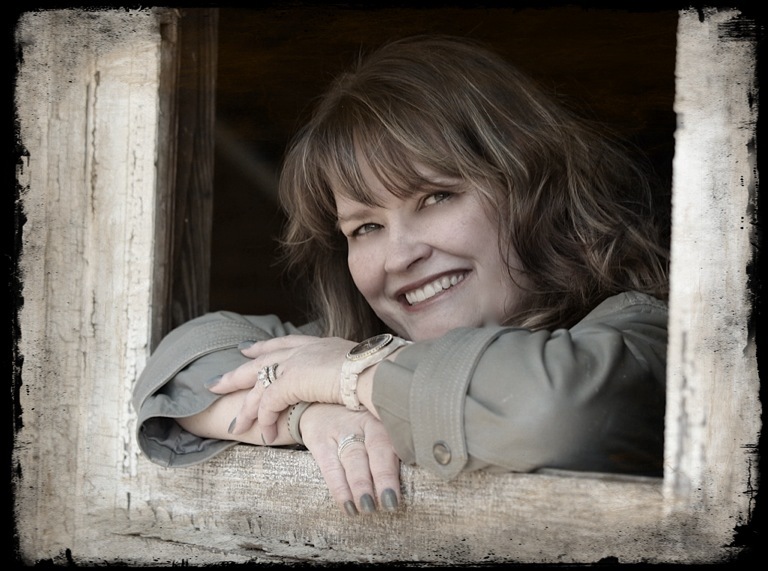 Edie Melson is a freelance writer and editor with years of experience in the publishing industry. She’s a prolific writer, and has a popular writing blog, The Write Conversation. She’s the co-director of the Blue Ridge Mountains Christian Writers Conference, as well as a popular faculty member at numerous others. Her new book, Connections: Social Media & Networking Techniques for Writers will be released on February 1, 2013. She’s also the social media columnist for Southern Writers Magazine and social media coach for My Book Therapy. Connect with her through Twitter and Facebook. It’s the question that plagues every armchair marketer. What is Social Media? How much time do I need to spend on Facebook and Twitter? Do I need Pinterest? What about my blog—who is going to follow it? Social Networking can be overwhelming—yet it’s essential for a successful writer. With the right techniques, it can be streamlined and maximized to produce exactly the results you need to further your writing career. 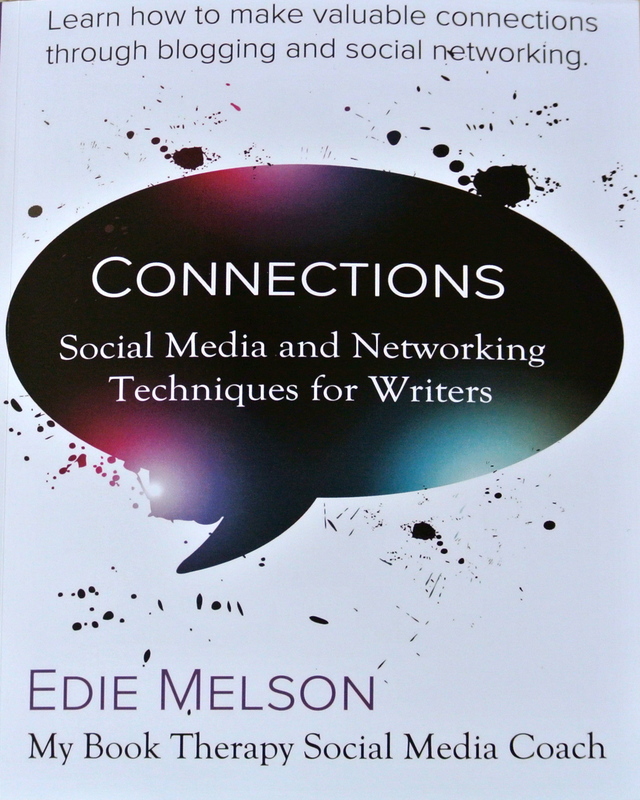 Edie Melson puts this crazy world of social media into perspective and gives writers the tools needed to succeed and still find time to write. Let’s talk about this. Pause for a moment to consider how you view your spouse. More often than not, are you seeking out and appreciating his/her positive qualities, or do you tend to zero in on their weaknesses? I think we all have times when we’re a bit more negative than others, but that doesn’t mean we need to stay in negativity. I’ve often said, if you look for the negative, you’ll find it every time. But the converse is also true. If you look for the positive, I suspect, you’ll find it’s been there all along. Today, I encourage you to write your spouse a letter, listing the five things you most appreciate about them. What is one thing you can and will do to show your spouse you love and appreciate them today? Few things wrench my heart like listening to one spouse speak negatively about the other. I’ve often wondered how I would feel to know Steve were talking negatively about me. Honestly, it’d break my heart. I’m blessed that he doesn’t do that, and I hope you can say the same. Pause to prayerfully consider your marriage–your heart–in light of the words in 1 Corinthians 13:4-7 4 Love is patient and kind. Love is not jealous or boastful or proud 5 or rude. It does not demand its own way. It is not irritable, and it keeps no record of being wronged. 6 It does not rejoice about injustice but rejoices whenever the truth wins out. 7 Love never gives up, never loses faith, is always hopeful, and endures through every circumstance. What are some situations that challenge your patience? How can you show more patience in that situation? And more importantly, will you choose to? How does pride increase quarrels? Quite honestly, I tend to honor myself above everyone else, including my spouse. But marital intimacy and growth demands the opposite–that I die to myself and think of my spouse first. But if I’m truly honoring my spouse, I will refuse to make cutting or negative remarks. I will find ways to bless him, even when it is inconvenient or I am tired. I will not demand my own way but will instead, seek out what’s in his best interest and the best interest of my family. I will find ways to build him up throughout the day. What about you? How has today’s devotion challenged you, or, what are some changes you’ve made personally that have blessed your marriage? Join the conversation in the comments below or by joining our Yahoo Proverbs study group. So what were your favorite devos of my top twenty? In my opinion, all the devos were awesome and drew our hearts closer to God in continual surrender. However, there were three that appeared to strike a heart-chord with you all. By far, Edie Melson’s God’s Timing is Always Perfect, was your top choice. Apparently we all struggle with patience and faith, trusting that God is still working even when things don’t go according to our plan or timetable. You might want to read her post again, then spend some time reading through Genesis 37-45. God revealed His plan to Joseph when he was seventeen, but for decades, circumstances appeared to negate the vision he had received. He was betrayed by his brothers, sold into slavery, taken into a strange land, thrown into prison. Could all that really be part of God’s plan? Had he heard correctly? Had God changed His mind? Not at all. God was working the entire time, molding Joseph into the man He created him to be. Your second favorite happened to be one of my favorites as well, primarily because of the little God-moment application God gave me the night before. Who would have thought God would use taxes of all things to share His love? Thanks Gail for reminding us all of our need to be magnetic. May God’s light shine so brightly within us that no matter where we go, no matter what we do, the people we come into contact with catch a hug from God. Read her post again, Oh, To Be Magnetic, and ask God to fill you so completely with His Holy Spirit, His love pours out unhindered. Your third favorite was Sheila Holinghead’s A Glimpse of Beauty. Let each day, each moment, each moonlit stroll and early morning sunrise be an opportunity to discover afresh the beauty of our Creator. Join me tomorrow as I prepare for the New Year and the series God’s laid on my heart.